I don't think much is going to top this. (I can't tell which one is prettier. The pin or @chubs191 's artwork. ) I just submitted my first thesis, and am absolutely exhausted, but wanted to share the news. 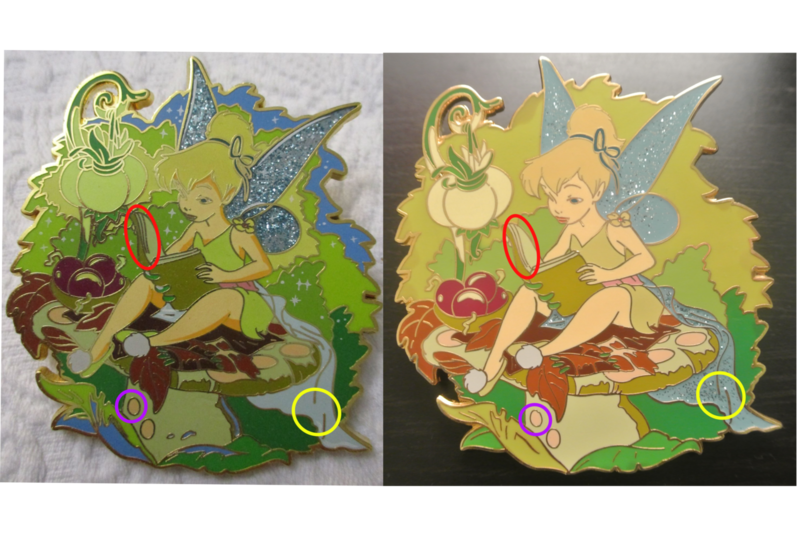 Edit: we've found some differences between this pin and the pinpics listing. The seller was very kind in messaging and quick to offer a refund. What should I do? Mystery solved. I'm guessing it's a reproduction based on the differences in line art. (Most notable ones circled below.) It's going back. 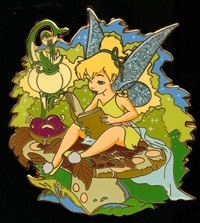 There is still a good chance that it is a pre-production pin and I will be calling Disney to confirm since I found another buyer who is in the same scenario. 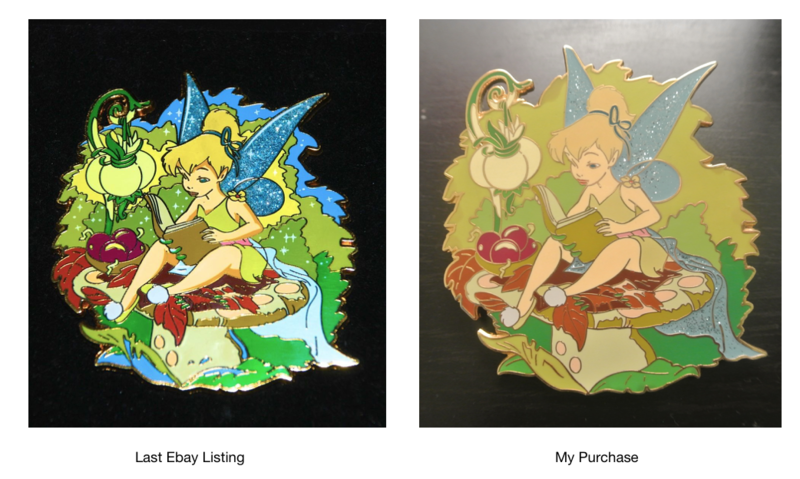 TinyTink, Addicted to Alice Pins, Haunted575 and 14 others like this. Oh my gosh, oh my gosh, oh my gosh, oh my gosh (oh my gosh)! MerlinEmrys, TinyTink, Purplemandms and 2 others like this. TinyTink and Purplemandms like this. Utterly gorgeous! And congrats on finishing your thesis too, I hope you get some much-needed rest. That’s a gorgeous pin! Congrats! 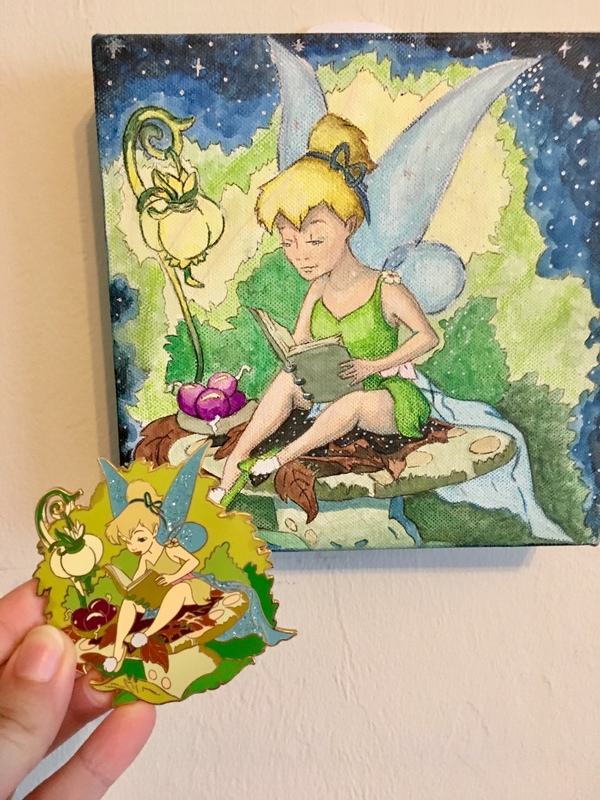 Beautiful pin AND beautiful artwork!! Congrats!! Also congrats on finishing your thesis! watzshakinbacon, TinyTink, Disneychildwithin and 1 other person like this. 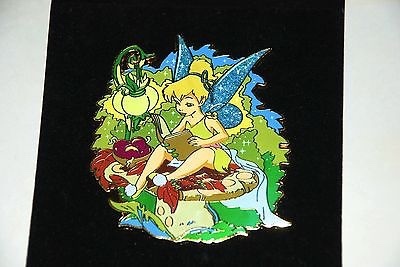 So I just noticed the differences from this pin and the pinpics listing... does anyone happen to have photos of any other iterations of this pin? Edit: found an older eBay listing..... this sadly doesn't look good. What does your back look like? I noticed something was off in the background, but wasn't sure. I just found the listing on eBay. The back looks like it's been sloppily manufactured like its a PP pin or something. The auctions holo is badly glued on as well. You need to decide how much you love it. I would totally contact the seller asking them where they got it from. I would mention that it looks nothing like the pinpics pin. If there was a certificate, that would prove authenticity. The top left of the back looks like it was hastily grinded from the metal feed line. Congrats on the pin. It's a beauty. Ahhh, man, I went from about to congratulate you from feeling so bad for you as I read the thread! I'm looking around for mine so you can use it as a comparison. It's a little wild here, since we're still unpacking, but if I find it, I'll let you know.